How is the cost of a wrap determined? What should I look for in a wrap company? Can I wrap my leased company vehicle? What kind of ROI can I expect from a wrap? What is a ‘Vehicle Wrap’? A vehicle wrap may be described as a vinyl ‘sticker’ being wrapped around the entire surface of an object. Wrap, loosely, applies to van wraps, car wraps, bus wraps, fleet vehicle branding, etc. Partial wrap implies only a portion of the vehicle surface is covered. If you’re curious, non-traditional wraps, such as window wraps, door wraps or floor wraps, simply means the ‘sticker’ has been applied to another surface. Most companies charge based on the square foot of the vehicle. You may be surcharged for additional curvature on some vehicles, like a Smartcar or Motorcycle. These intricate wraps require a greater attention to detail and take longer to install. For more detailed information on the cost of a wrap, check out this blog post. We recommend a certified installer or someone who has trained under a pro for at least a year or two. While certification isn’t always necessary, but expereience is! Door handles, bumpers and grills can be very difficult, and they need to be completed by someone who knows how to handle the fickle nature of vinyl. Often, doctoring a wrap is far more costly than having it done right the first time. Be sure they are using premium wrap materials. If you aren’t sure, ask. They should guarantee their installation for at least a year. The installer should be experienced. Preferably, they offer indoor installations in a temperature controlled facility. If a price seems too good to be true, it probably is. Absolutely! Any professional can remove your wrap. If you know it will be temporary, ask ahead of time. Special formulas can be used to make the wrap easier to remove. Regardless, we recommend a pro because the wrap material is backed with an aggressive adhesive that requires specific products to remove it. A poorly removed wrap can leave streaks of glue or marks on the paint where overzealous scrapers were used. Imagine a stretchy gift wrap that adheres to a surface very well when heated. While sign industry professionals use the term ‘vinyl’ for most substrates, wrap material is a premium material that can be easily manipulated as necessary. It is designed to accommodate the curves of the vehicle. While we can’t measure the exact dollar amount you’ll earn from a wrap, you can expect to generate 30 – 70K impressions daily. Your name recognition is expected to be more than 15x greater. To produce the same advertising effects as a $3,500 wrap, you would need to spend $130,000. 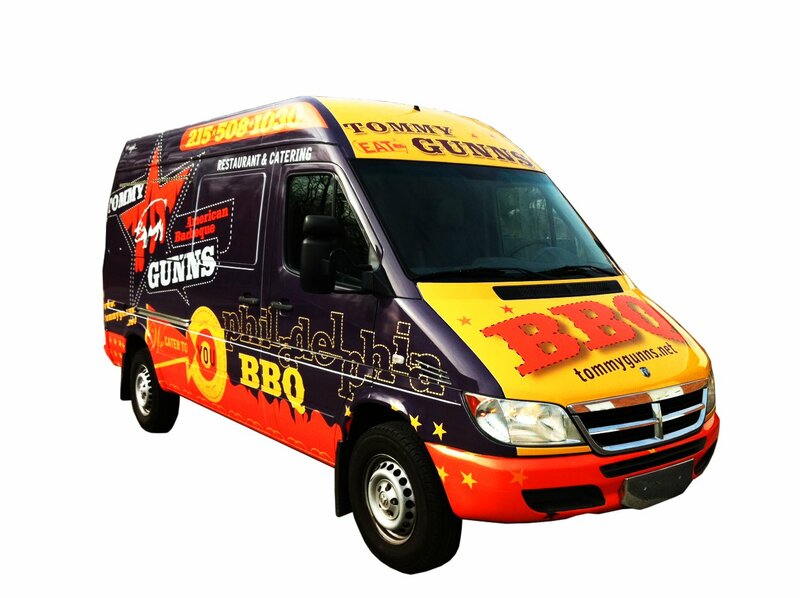 Since 91% of people surveyed notice vehicle graphics, there’s no telling the exact lead generation you can expect your wrap to produce for you. What are the best kinds of cars to wrap? Can I take my wrap through an automatic car wash? How long will my vehicle wrap advertising last? 5 tips for hiring a vehicle wrap installer. What does a cheap wrap look like? Can my wrap be repaired if the vehicle is in an accident? Should I get a vehicle wrap or a custom paint job? How much information should I include on my vehicle wrap? Tips for getting the most out of your wrap. What file format should I use to send you my graphics? 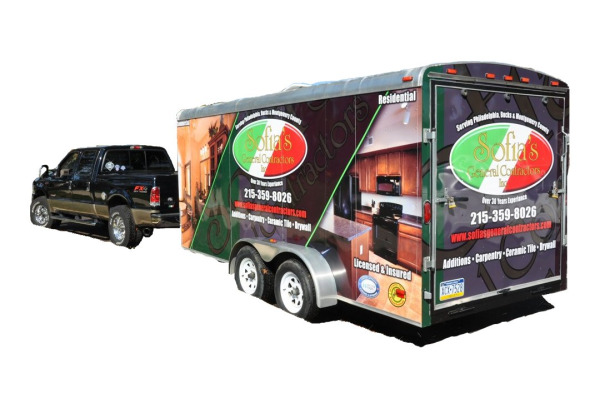 What should I do to prepare for my vehicle wrap design consult? Contact us for a free vehicle wrap quote!